Refresh hair. Build volume. Eliminate frizz. Try New York Streets. 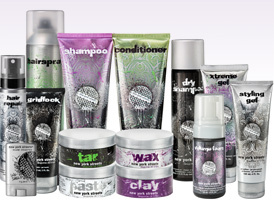 Hair styling products for individuals who are committed to expressing their freedom of style! Not only do these unique hair care and hair styling products allow for ultimate self-expression, they’re packed with vitamins and proteins. Get the most out of your style with New York Streets.